Whenever I visit a Chanel counter only intending to look, or only planning to get one thing, like a lipstick, or snagging a sample of eye cream, but then one of the makeup artists says, “Here, try this on,” hands me a mirror, and I see in my reflection what can only be described as a makeup miracle, that is The Chanel Effect. 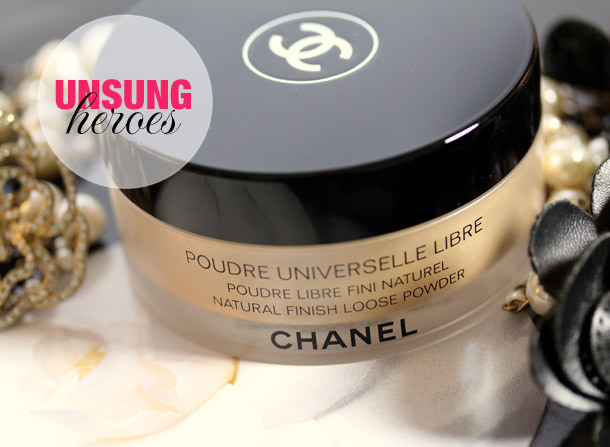 I experienced it a few weeks ago with Chanel’s Poudre Universelle Libre in 040 Dore, otherwise known as Chanel Natural Finish Loose Powder. It was a Saturday afternoon. Bloated and cranky, I’d been buffeted by a monster riptide of hormones, and through a veil of tears, I told El Hub that one of two things was about to happen. Either I was going to go to a Chanel counter right then and there, or I was going to stab him with a fork. Wisely, he suggested the former. At the counter, one of the makeup artists talked me into trying Chanel’s $52 Natural Finish Loose Powder, a sheer, light-coverage matte powder. After seeing myself with it on, I shot the artist a look like, good gawd, woman! I had to do a double take. The girl staring back at me in the mirror looked like she was 26! No wonder the stuff gets such consistently high marks, despite the price and the fact that it’s only available in three colors. And my goodness, it’s soft. Like cake flour run through a sieve half a dozen times. Everything I want from a great loose powder, it does, from setting my foundation, to evening out my skin tone and cutting down the shine on my combination dry/oily skin so I don’t have to reapply my makeup as often throughout the day. But its best ability would be considered a curse if it were a camera lens. The powder contains special reflective pigments that create a beautifully blurred soft focus effect. Chanel says the effect helps disguise imperfections, and I have to agree. When I wear this powder, I do feel like my pores and fine lines are less visible, but I don’t feel like I’m wearing heavy makeup. I know — $52. That’s the bad part. For what it’s worth, though, a little goes a long way, and I love the way it looks both on bare skin and atop foundation. When did the iconic Chanel No. 5 first freshen our atmosphere? How about a video that answers that and more? This is the first in a series of original short films from the brand, each one tracing the events and people who influenced the brand’s history and Coco Chanel. The Unsung Heroes series, a long-running series here on Makeup and Beauty Blog, features some of my favorite permanent collection products from a variety of brands. Next Post: Rachel Weisz: Her Best Hair? Have you ever tried the pressed powder version? I’ve heard it’s good, too. No, not yet! My sister has it tho, and she loves it :). Hmm, must test that out now :). Oh my gawsh, Karen, your skin looks flawless. It’s a shame about the price, indeed. Speaking of face products, MBB community — may I please have recs for long-wearing tinted moisturizer with good coverage? My usual Revlon Colorstay routine isn’t going to work with my new, super dry, flaky skin when winter arrives. 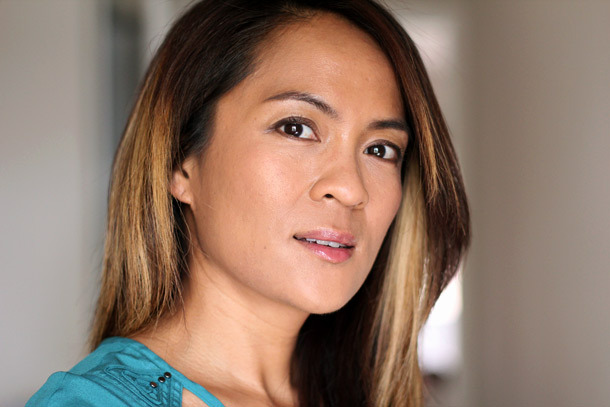 Bloated and cranky, Iâ€™d been buffeted by a monster riptide of hormones, and through a veil of tears, I told El Hub that one of two things was about to happen. Either I was going to go to a Chanel counter right then and there, or I was going to stab him with a fork. As for tinted moisturizers, I’d love to hear what other gals (and guys) love and can’t live without. I’m a huge fan of NARS Pure Radiant, myself. It’s got great coverage, and it never emphasizes the flakes on my combination oily/dry skin. You might want to check out the MAC Careblends Pressed Powders. They’re great too. One of my favourite loose powder ever. I have 3 ( rose clair, pÃªche clair, FÃ©Ã©rie ) and a new Poudre Universelle is to be launched in November ( RÃªverie ), either classic or Hoilday this powder is just great. I also love the Nars loose powder so subtle. 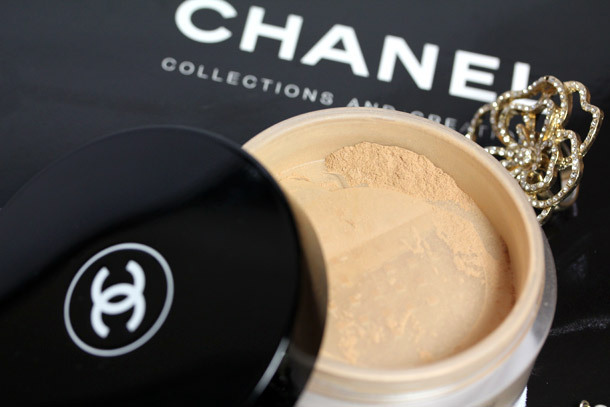 I am not a huge fan of loose powders but the Chanel ones are really pretty ! NOW I WANT THIS! I’ve been using my Tarte powder for a year, and I like it for slowing down my sebum production. But by now I’ve heard too many great things about the Chanel version, so I have to give it a go! I’m in the market for a great pressed powder, thanks for the recommendation! Soft focus effect indeed! I’ve got to try this! I was thinking about getting Guerlain Meteorites…but now I am intrigued by this! which would you recommend? thanks Karen! Damn, your skin looks so velvety! I love it! I can’t swing the $52, I’ll have to stick with my LM finishing powder for now. But good to know for the future. I’ll have to see if they have a shade that is pale as death. Quick question, do you recommend applying this with a powder puff or a brush? I’d love to read your thoughts about this! Oh yes, I’m a huge fan of Chanel Cosmetics and I must say they have 1 of the best powders and liquid foundations! Hi Karen, I just bought the pressed powder version($45) and realized that it gives only 15g of product compared to the loose version ($55) that gives 30g..Would you suggest getting pressed or loose? Also is there a difference between the two? The pressed powder has a very fine shimmery finish but I’m not sure of the loose powder finish..Thanks! I love chanel products ! And this is the best powder i’ve ever tried ! Hi Ms Karen! Will this work for those of us with oily T-zones and cheeks? I tried Chanel’s powder foundation, wanted to use it to set liquid foundation, and it made me itch, develop a rash, and break out terribly. I really want to try this, but am scared to. Thank you so much! I love your blog! HTH! Let me know if you have any other questions. Thank you very much! Have a splendid weekend!!! !